Master locksmith Steven Hampton, author of the best-selling Secrets of Lock Picking, takes the art of picking locks one step further with Modern High-Security Locks. Here, he collects some of today's most popular pick-resistant locks and sets out to see which ones hold up to their claims. Hampton shows locksmiths how each lock is picked and how long it will take. He details the tools of the trade and includes patterns and instructions for making your own picks and tension wrenches. He even includes ancient Tibetan Buddhist tantric visualization exercises to help locksmiths learn to "see" the inner workings of the lock within the mind's eye. 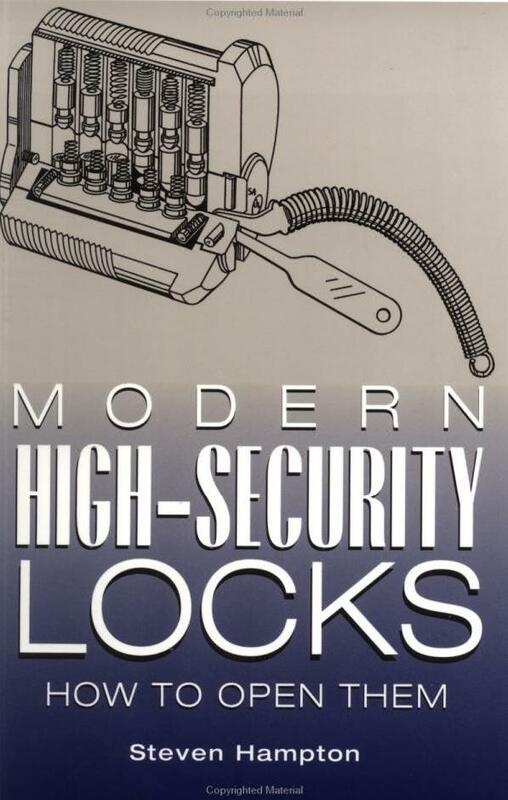 Veteran locksmiths or those new to the trade will find Modern High-Security Locks an invaluable sourcebook. For academic study only. 5 1/2 x 8 1/2, softcover, illus., 152 pp.